You are currently browsing the tag archive for the ‘Spirit of Albany’ tag. 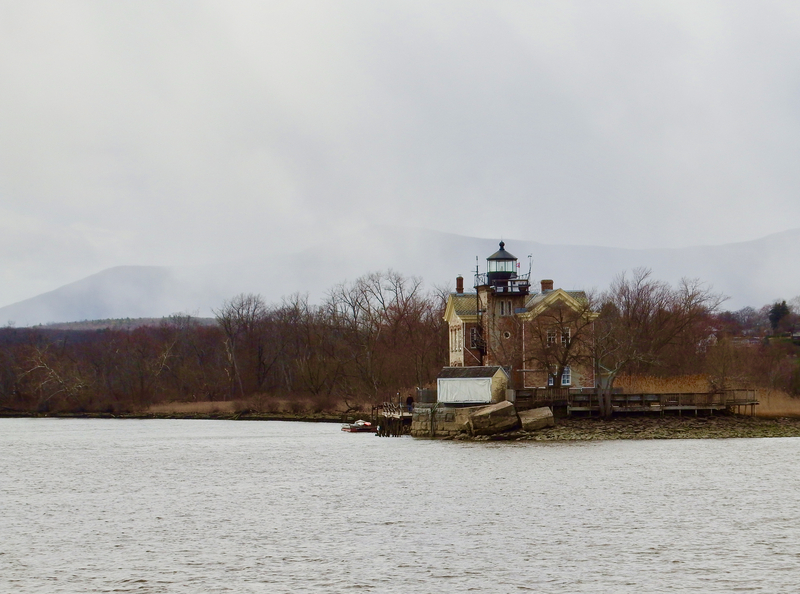 Here’s a Hudson down bound set of three posts I did five years ago, in a different season. This trip starts at Scarano’s just south of Albany, where a crew picked up excursion boat Kingston for delivery to Manhattan. Last fall after delivery up bound, I posted these landmarks. 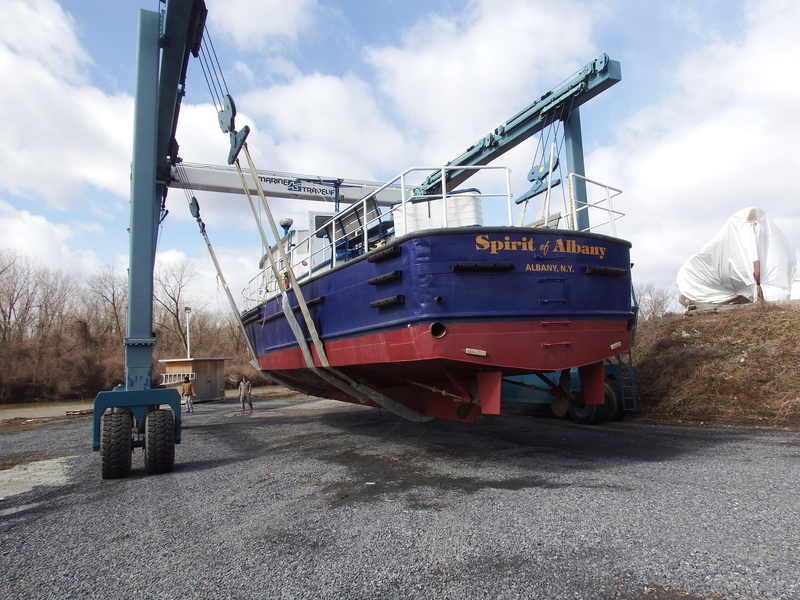 Spirit of Albany (1966), operated by the Albany Port District Commission, is a regular for the Waterford Tugboat Roundup parade. High above Castleton, name going back to Henry Hudson, is that Sacred Heart Church? 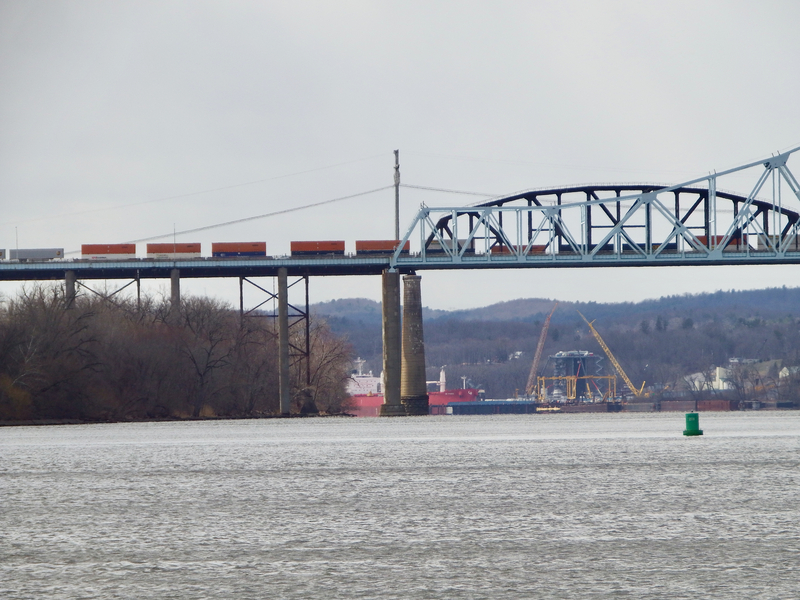 Two bridges cross just north of Coeymans are the Berkshire Spur of the NY Thruway and the Alfred H. Smith Memorial Bridge, the furthest south operational rail bridge over the Hudson. 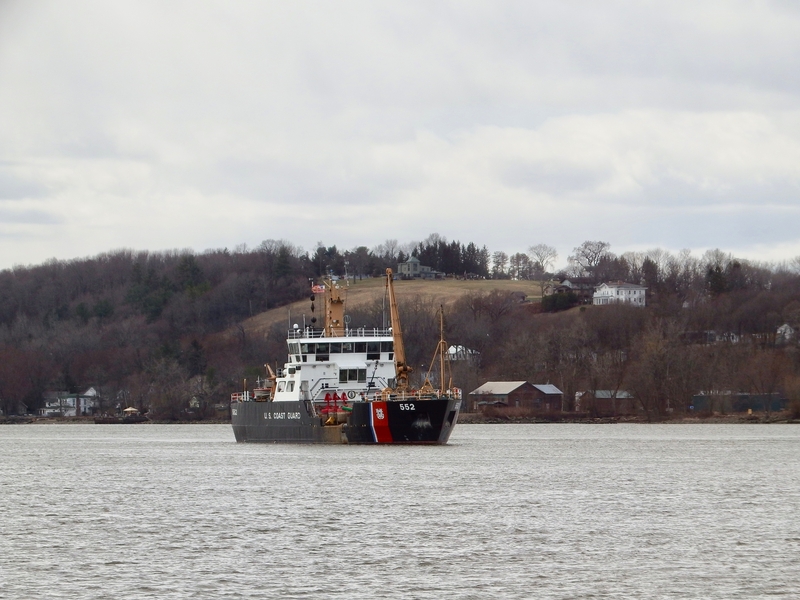 Katherine Walker performs spring buoy planting south of Coxsackie. 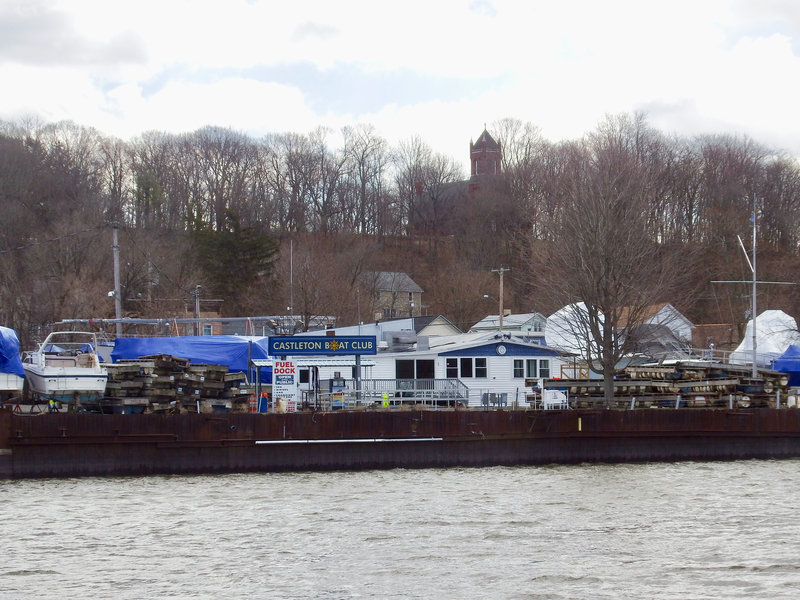 I’ve heard a story behind the “parked” marine equipment in Athens NY, but need a refresher. Anyone explain how this came to be frozen in time here? The view is only possible if your draft allows you to navigate the channel on the west side of Middle Ground Flats. 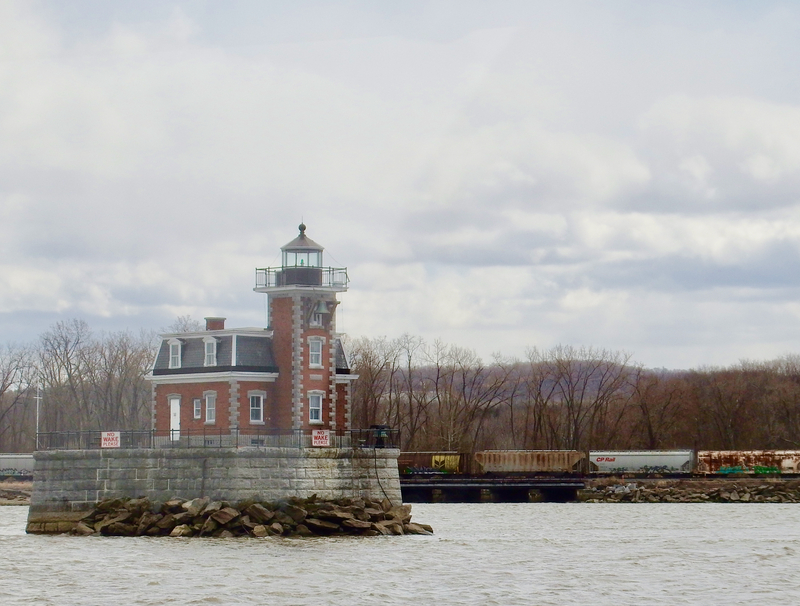 Hudson-Athens Light is one of the lighthouses saved from demolition at a point when all lights were being automated. 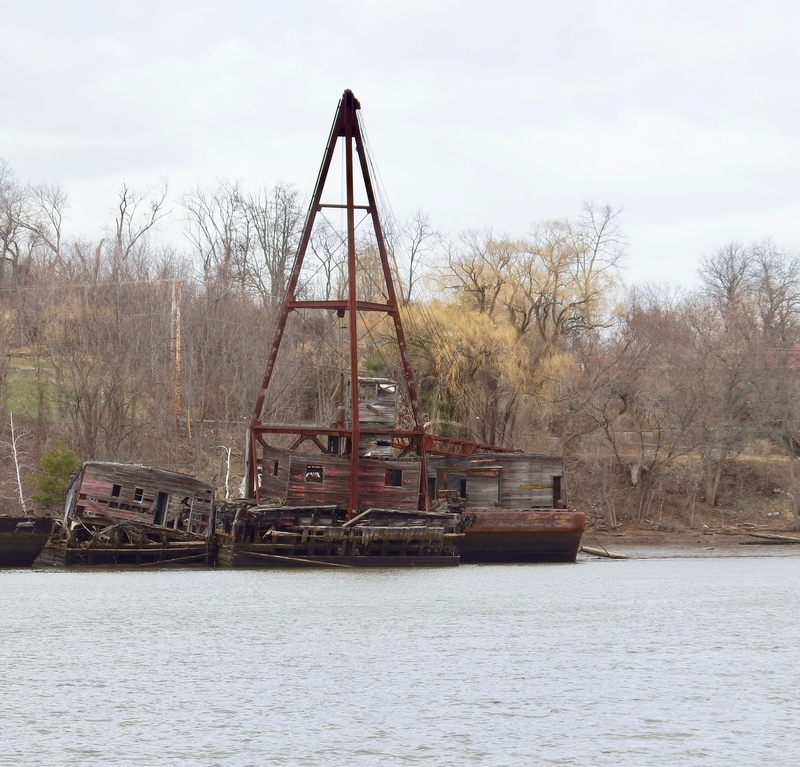 Back when I did more hiking, I looked down on the Hudson and some of these landmarks from the heights, in “what Rip saw,” as in the long sleeper. 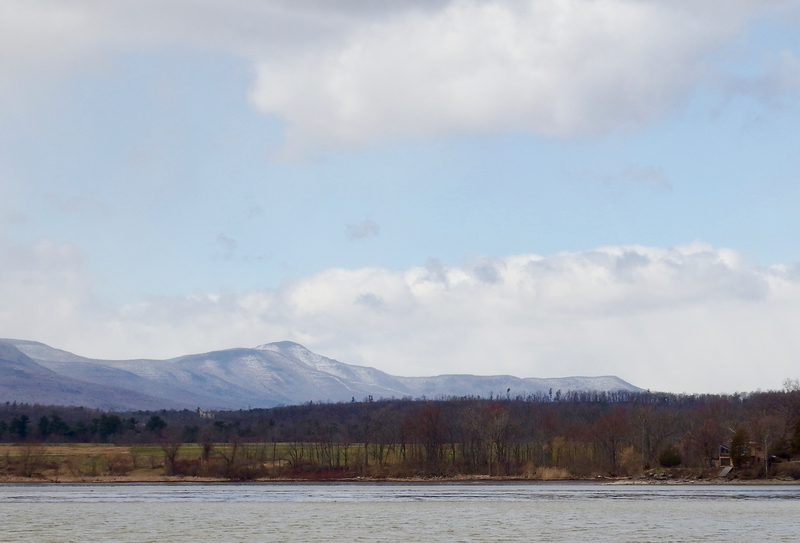 South of Catskill Creek, you can see snow still covering the slopes of the Catskills. 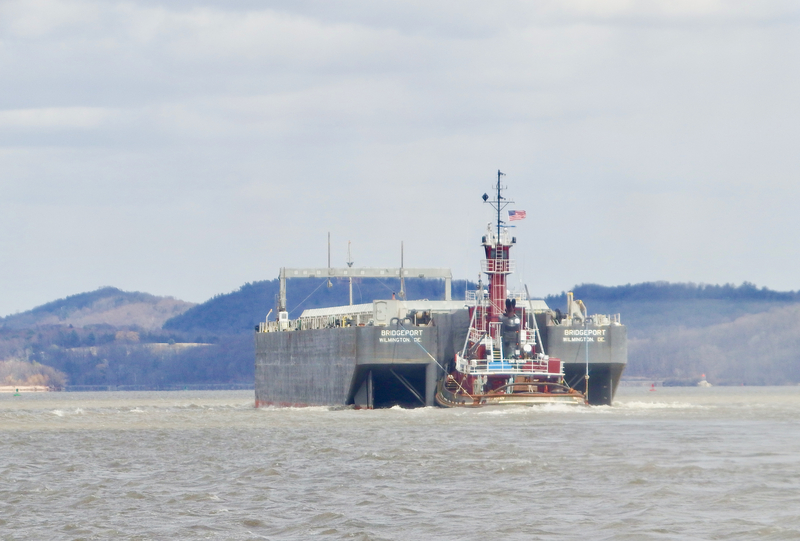 Marion Moran pushes Bridgeport upbound. That’s the east shore of the Hudson beyond her. By the time we get to Saugerties, snow seems to be creating whiteout conditions on the Catskill escarpement. 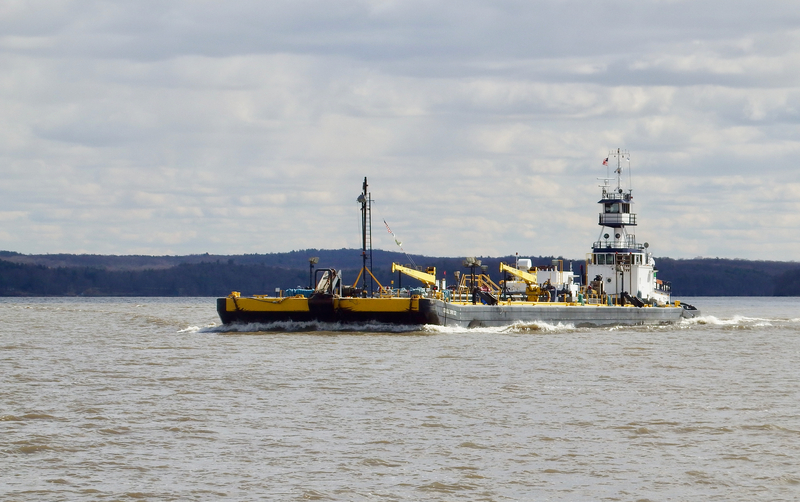 We head south, here meeting Fells Point pushing Doubleskin 302. 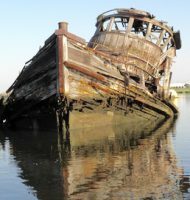 All photos by Will Van Dorp. For more on the lighthouses, click here. In the next in the series, we head farther south. And for what it’s worth, I’m still in the market for some “seats” photos.